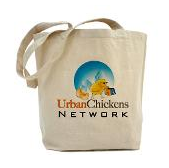 Urban Chickens Network blog: vote for Olivia and the chickens to win! (my fav part is watching Olivia dance around with the chicken on her head). If you like, check out the video and vote at http://www.storytubes.info. You can vote once a day until the polls close on Wednesday night. Tell all your friends, too! Go chickens!! So please watch the video and vote (every day!) for Olivia to win over at Story Tubes (hers is in the bottom row, center). Let's win one for the chickens! Olivia says, "You rock!" Thanks for posting this!! The largest collection of backyard poultry videos on youtube! Everything chicken.